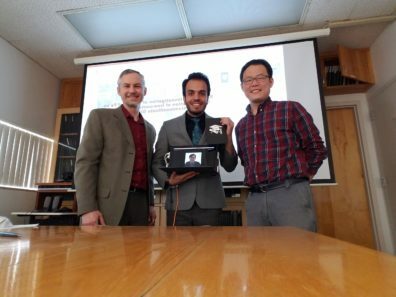 Congratulations to Mostafa, who yesterday successfully defended his dissertation, “Systematic Investigation of Effects of Fe on Crystallization of Iron-containing Sodium-Aluminosilicate Glasses.” Great job! Congratulations to Sam Karcher who received the 2019 Washington NASA Space Grant Consortium scholarship. Great job! Congratulations to Emily who received the Roy G. Post scholarship for research to support the safe management of nuclear waste! The periodic table – arbitrary? It has been a long time since we have let you know what has been going on in our group. First of all, we have three new group members who joined us in Fall 2018: Jani Jesenovec (joint with Prof. Kelvin Lynn), Natalie Gray, and Dave Bollinger. Three of our group members have moved on. Dr. Patil is a researcher at New Mexico Highland University, Dr. Lonergan is now a researcher at Pacific Northwest National Laboratory, and Dr. Marcial is at the University of Chemistry and Technology, Prague. the University Conference on Glass (State College, Pennsylvania). 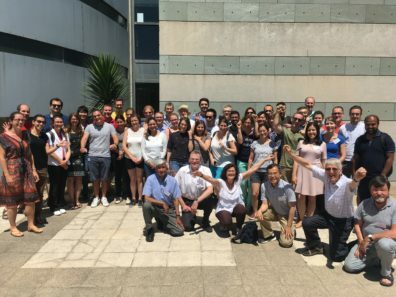 Also, Emily Nienhuis attended the International Commission on Glass (ICG) summer school in Montpellier, France (photo below). 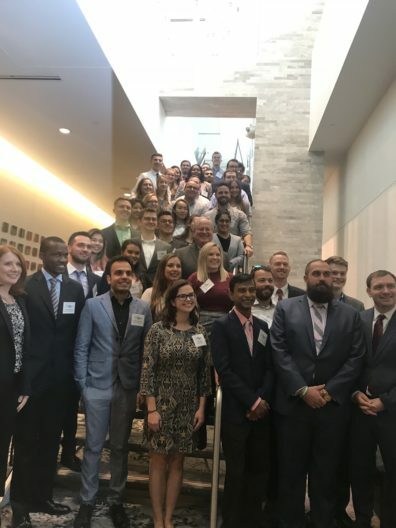 And Muad Saleh and Mostafa Ahmadzadeh participated in the Presidents Council of Student Advisors meeting at MS&T in Columbus. Great group of folks we have! Prof. McCloy, who was promoted by WSU to Full Professor effective August 2018, was recently named a Fellow of the American Ceramic Society. Congratulations Jose, the ORP star..
Congratulations to Muad Saleh who was recently appointed to the American Ceramic Society’s Presidential Council of Student Advisors (PCSA). Congratulations to Emily Nienhuis who was accepted to attend the Total Scattering School this summer.